If you’ve been a full time geek and are often involved in reading or watching pop culture comics, movies and TV Shows, I bet you have a wallpaper or a phone case associating one of the characters. 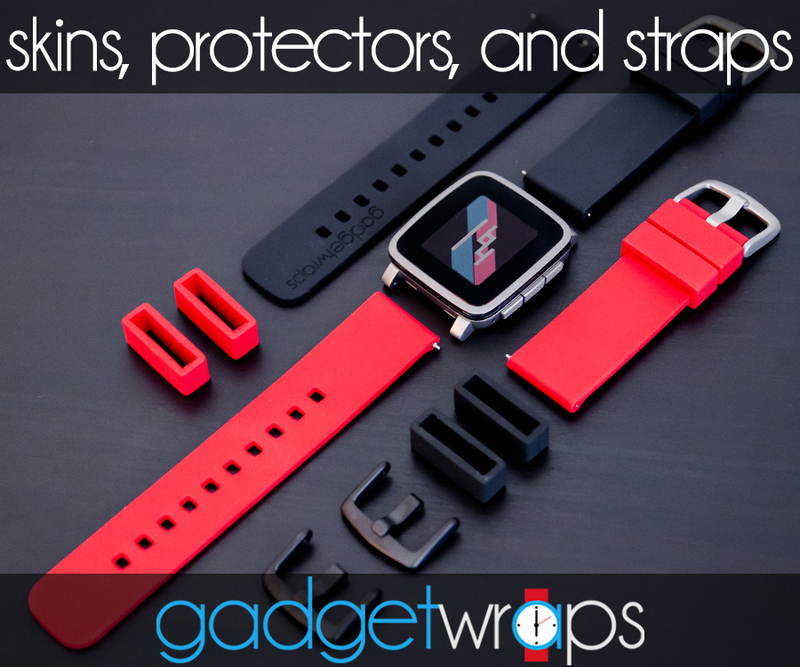 We have listed some watchfaces to extend the experience and appreciate the heroes right from your wrist. The ever so popular Star Wars movie series has attracted people of all generations and has definitely set up a bar for CGI in movies. If you’re a fan and have been lured by the dark side, you’ll surely love this Watchface. It shows the time clearly on the right along with the current battery status, date and time on its left. What makes it special is Darth Vader on the bottom left who uses his force to change the time every minute or in the intervals that you set. If playing Mario games with an NES on your rock-heavy TV screen accompanied you as a child, this one’s surely going to give you some nostalgia. 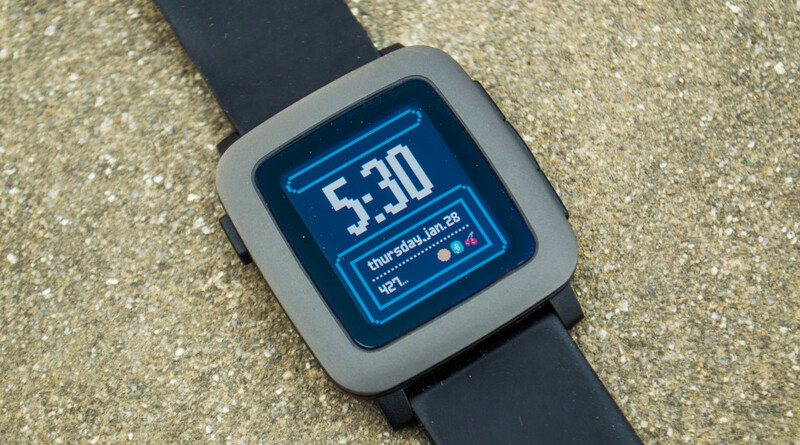 It features two floating blocks with a background that changes frequently during the day and also toggles between blue and black according to the time. And yes, as you might have been wondering, Mario does jump and hit the blocks in regular intervals of one minute. If you want, you may also choose Luigi to do it for you. If you confuse the ghosts in this watchface with the snapchat logo, it clearly isn’t made for you. The time displayed is big enough to recognize it with just a glimpse and if you look even deeper, you’ll find the date, time, weather and some status icons right below it. While all this sounds really basic, there is some charm to it. The time scrolls towards the right and back to its place from the left, with PAC-Man and a ghost following it. You can do this by shaking your wrist, and/or by setting it up to happen automatically in fixed intervals. Hope you don’t end up breaking your wrist by doing it again and again. 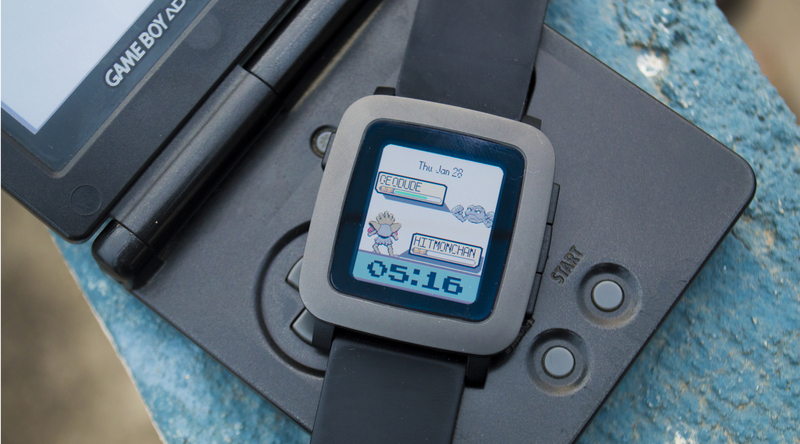 Having discovered this watchface for my Pebble Time, I wish I hadn’t been careless and lost my Gameboy charger. It’s straight outta Pokemon Leaf Green / Fire Red and is packed with 30 powerful Pokemons from the Kanto Region. They are switched every hour or when you return to the watchface after doing some task. Not only that, but if you look closely, the enemy’s health is the countdown to the next hour and your health is the battery remaining. And oh, it also shows the date and time clearly at the top and bottom of the screen. Do you have superhero you like the most from the Avengers team? The Falcon? Hawkeye? 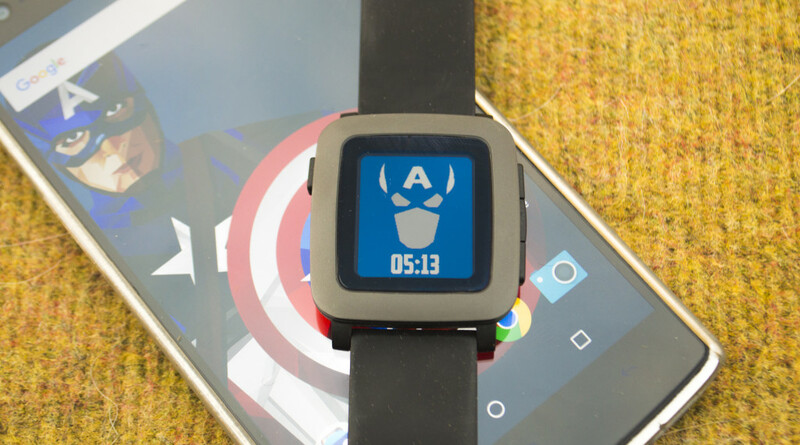 Well, if it’s Captain America, this watchface would definitely make you satisfied. Most of the area is covered with a clean and minimal design of Cap’s head with the time at the bottom. Now although it isn’t as customizable as the ones mentioned above and doesn’t have any extra features, the clean and skillful art really compensates for it. To make things even better, you can try out Justin Maller’s Captain America Wallpaper on your phone, which goes really well with the watchface. This watchface as well is a fairly simple one. Its based on the Pip-Boy watch from the ever so popular game called ‘Fallout’. You are stuck with what you have, like date and time and doesn’t have any customization abilities but it sure looks cool and geeky. Interestingly enough, the health status that you see in this watchface actually represents the battery level of the watch. 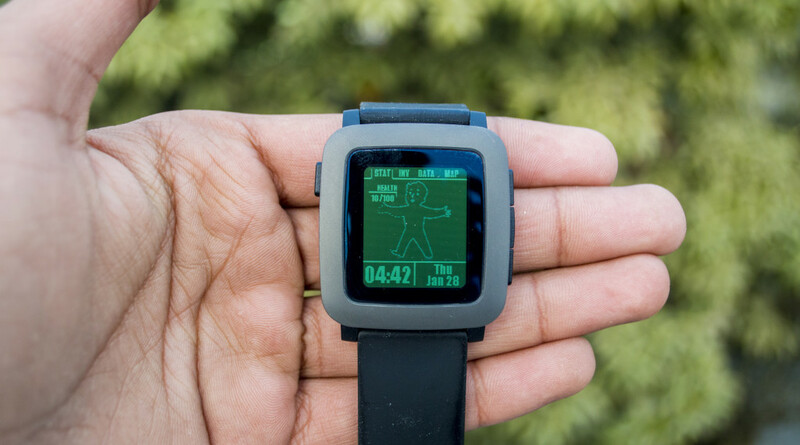 With close resemblance to the actual Pip Boy Watch, you’ll really love putting your watch on all the time. 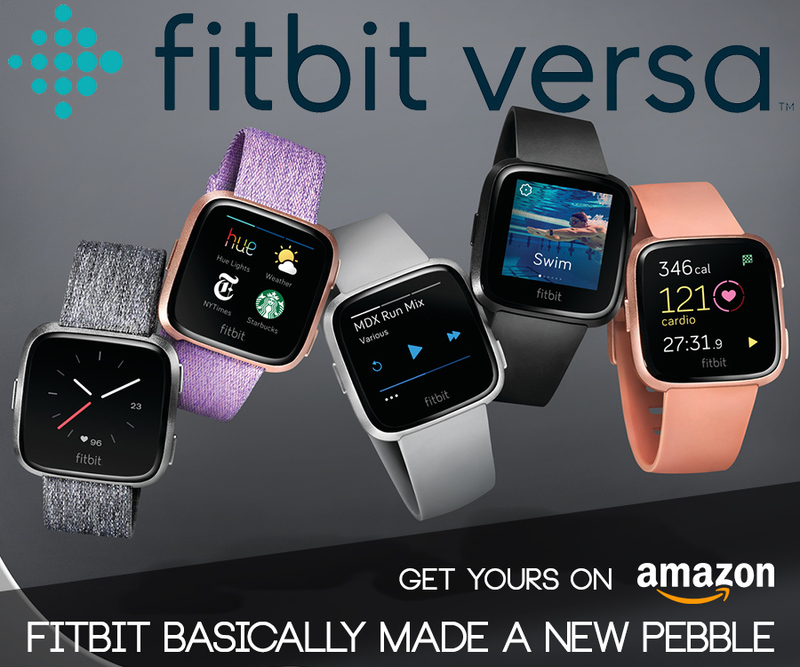 Also, if you noticed those tabs on the top of the watchface, well let it be. You can’t do anything with it. So, that’s pretty much it for the best pop culture watchfaces. Of course, they were selected based on our opinion and you may have completely different preferences – so let us know down below which one is your favorite and feel like it should have been included.